It’s the trend that will never die. Millennial’s and preteens around the world are going out this world for NASA apparel. Is it the love of learning what’s out there or is it simply that everyone is jumping on the bandwagon? Either way, the NASA craze is here to stay and you don’t want to miss out. Go to infinity and beyond with a custom NASA sweatshirt! So why is this such a cultural phenomenon? Millenial’s love information, discovery, and the promise of better things for the future. and that is exactly what NASA stands for. Science, education, furthering humanity’s discoveries, and creating possibilities for the future. The ultimate expression of creativity and personality is fashion while the ultimate expression of the future is space. Okay kids, we get it. The classic version on a grey crewneck will never go out of style but you can easily update this look by swapping the design onto any product that we offer. Beach towel, tote, or water bottle – take this design with you wherever you go. Customized Girl has expanded the selection of this trend with new and custom art that can be swapped out onto any style or product we offer. 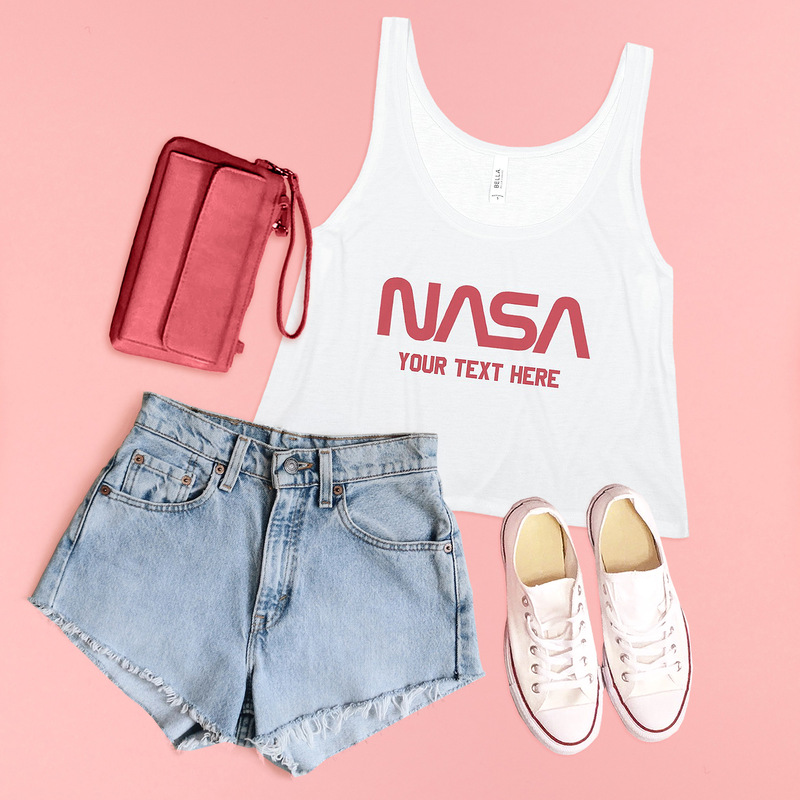 Express your love for space and fashion by combing the two with your very own custom NASA apparel! How will you take on the custom NASA sweatshirt? Show us via Facebook, Twitter, or Instagram @CustomizedGirl!